Strawberry Marmalade quilt Pom Pom de Paris by French General for moda fabrics. This listing is for the pattern only. 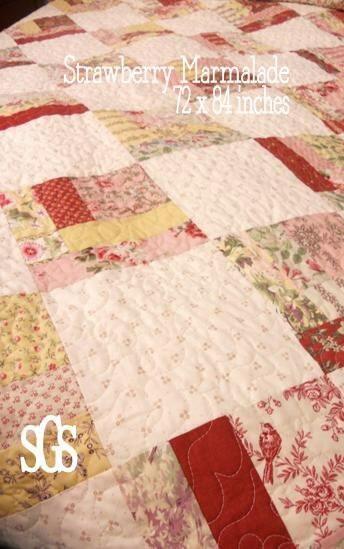 This quilt is 72 x 84 inches and uses a jelly roll, charm pack, and background yardage. Jelly roll and charm pack are from Pom Pom de Paris by Kaari Meng for French General for moda fabrics. Background print is from Lily and Will II by Bunny Hill Designs. Looks straightforward as well as lovely. Thank you!